The Times in the UK and BBC released an investigation that had found ads running alongside or on top of videos of scantily clad young girls and boys with comments from paedophiles underneath. An AdNews investigation into the claims found YouTube has begun work to block ads and comments on videos posted by young girls innocently lying on beds and other positions that many would deem inappropriate. Many of these videos were posted in Russia and other non-English speaking countries. Serious questions have been asked by brands and their media agencies about how appropriate such videos are for the internet where sexual predators prey on young people on social media, chat sites and forums. Parents of young children would be alarmed at some of the content that is posted on there and it challenges the notion that user-generated platforms should be this light-handed about freedom of expression on their platforms. 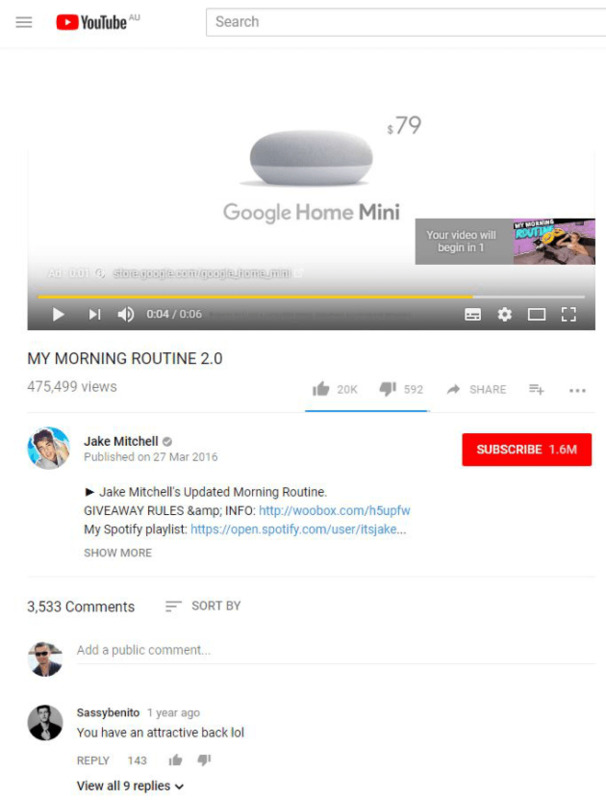 AdNews found an example of YouTube teen star Jake Mitchell posting videos where older men made creepy comments about his semi-exposed body. Such videos carried advertising from major brands, including Google Home. A YouTube spokesperson told AdNews that “content that endangers children is abhorrent and unacceptable to us". “We have recently toughened our approach and in just the past week we've disabled comments on thousands of videos that we've identified as of potential interest to predators, and shut down hundreds of accounts identified as making predatory comments," the spokesperson added. “There shouldn’t be any ads running on this content and we are working urgently to fix this. Over the past year, we have been working to ensure that YouTube is a safe place for everyone and while we have made significant changes in product, policy, enforcement and controls, we will continue to improve." GroupM chief digital officer John Miskelly tells AdNews that while YouTube has done a lot of work to try and solve the problem this year, “ultimately it's just impossible to manage the amount of content that gets put up there”. “It's not a huge surprise that a couple of things slip through cracks given how much content is published on there each day. Miskelly says that although there is always going to be an element of risk, GroupM has put in place a lot of controls, exclusion lists and has done a global deal with OpenSlate to vet videos before ads run against it. “We're comfortable with the level of brand safety controls we have in place but we would still challenge YouTube to allow more third-party measurements in there to allow us to plan even more safety controls on top of it and we will continue to ask them to do that,” he says. Miskelly says that all user-generated platforms, including Facebook, Twitter and Snapchat, are stuck in a conundrum about where to draw the line between appropriate and inappropriate content that should be published on their platforms. 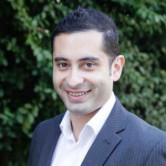 Another media buyer, who agreed to comment under the condition of anonymity, tells AdNews the problem is that YouTube doesn't allow media agencies enough control over where ads appear on its platform. “You need to let agencies use third party tools like Moat, IAS or Grapeshot to put parameters at their end where the ads should run. This is how you stop this,” he says. “There needs to be external technology where I can block hate speech, vulgarity, racism, paedophilia and other undesirable content so that your ad is stopped from the ad server before being broadcast on that particular platform. “But when you are still dependent on the platform and giving them the policing to where your ad should appear you are very much dependent on that platform and these things will keep on happening. It's about giving media agencies and buyers control. Herein lies the problem with YouTube – the vast volume of content that is targeted at minors. Traditional media publishers like newspapers and TV stations have extremely strict rules about the type of content that can run featuring young children, including use of photos and video footage. It's clear that YouTube, Facebook, Snapchat and other platforms are not governed by the same rules or have inadequate processes and systems to police it. Brands are taking matters into their own hands. Earlier this year, a raft of brands stopped advertising on YouTube's following brand safety concerns and the same is happening again. A Mondelez International spokesperson told AdNews they have suspended all advertising on the platform until a solution is found. “We are deeply concerned that some of our adverts may have appeared alongside inappropriate YouTube content,” the spokesperson said. A Mars spokesperson said the company was “shocked and appalled” to see its ads appear alongside exploitative content and they had also stopped advertising on YouTube until “we have confidence that appropriate safeguards are in place”. Adidas told Sky News that the situation is “clearly unacceptable” and that it is working with its media agency to prevent this from happening again. Google needs to accept it is a media owner and allow agencies and verification firms more autonomy to control the content that appears against advertising media industry experts have warned following the latest brand safety scandal. One senior media buyer told AdNews that the amount of content published on YouTube was pretty much impossible to police and it's not an ideal platform for advertisers. Over the weekend, major advertisers including Amazon, eBay, Mars, Diageo, Adidas and Deutsche Bank stopped advertising on YouTube over concerns their ads are running against videos of children being targeted and exploited by paedophiles. It is the second major brand safety scandal on the popular video platform this year after several leading brands boycotted YouTube ads earlier this year.